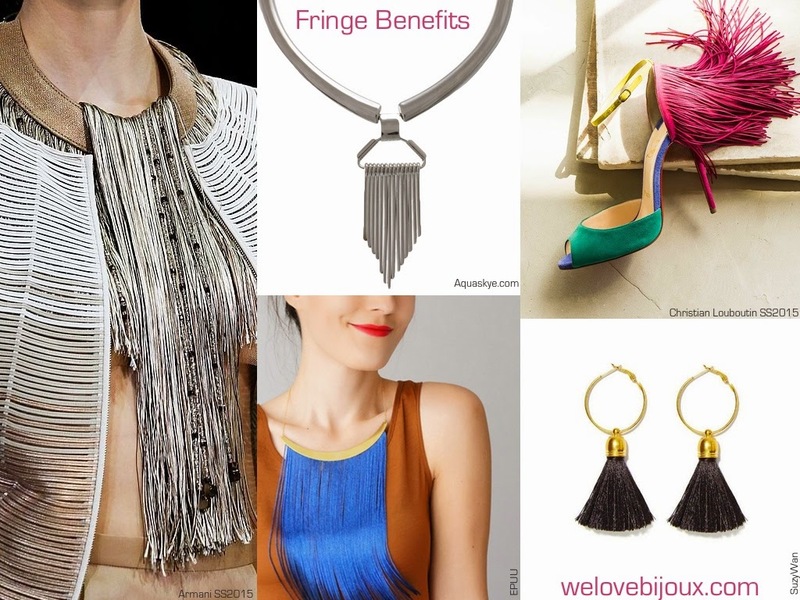 The post How to wear this Season’s Latest Craze – the Fringe!!! appeared first on We Love...Bijoux. The 70s trend that paraded down the runways for Spring from designers like Roberto Cavalli, Saint Laurent and Etro showcased all things fringe! Here are some fun ways to wear fringe without looking like like you are attending an outdoor music festival. I would suggest sticking to one item as the Fringe Factor but hey, if it works otherwise - do it! How to wear this Season's Latest Craze - the Fringe!! !